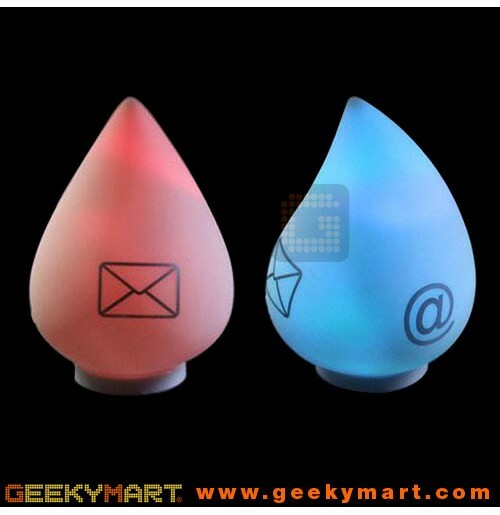 This Webmail and Instant Messenger Notifier, with its cool droplet design, displays different lights and alarms when a new message or email arrives in your inbox so you do not have to waste your effort in checking your inbox repetitively. It works with the Windows system and is compatible with: Microsoft Outlook, MSN, Skype, Office Outlook, Windows Mail, Windows Live Mails, Hotmail and other mail clients supported through POP3. Users also have the freedom to customise the notification alarms. Program driver is included. 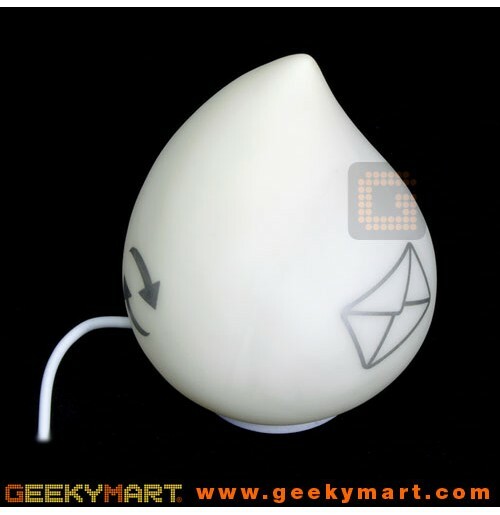 It is powered by USB so no batteries are required.